We are now going way fast. 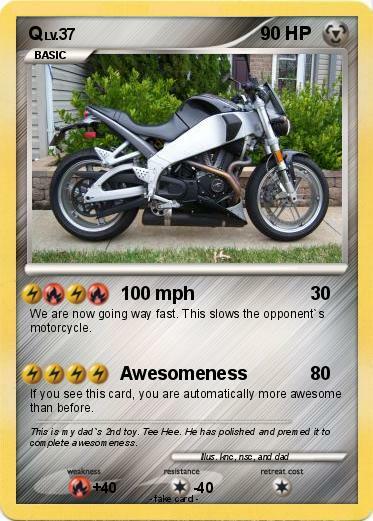 This slows the opponent`s motorcycle. If you see this card, you are automatically more awesome than before. Comments : This is my dad`s 2nd toy. Tee Hee. He has polished and premed it to complete awesomeness.